Reliable, efficient local pressure monitoring for high-purity applications. 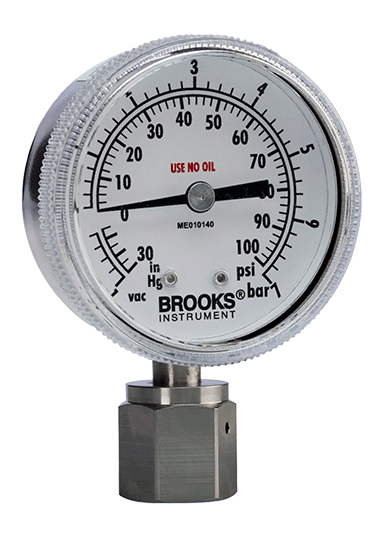 The Brooks Instrument 122 Series mechanical pressure gauges were designed and developed for the demanding high-purity applications of the semiconductor industry. 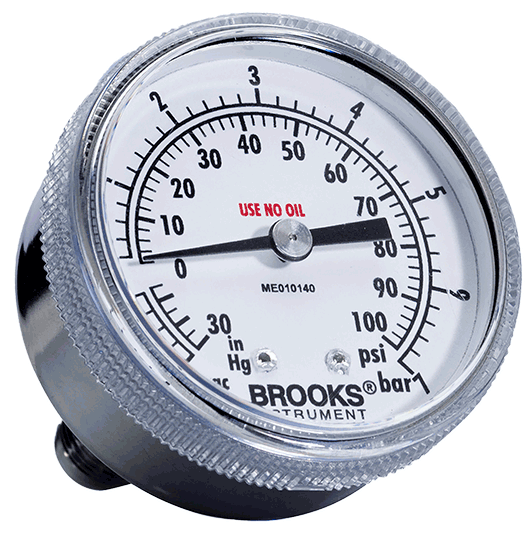 Made of stainless steel, our mechanical pressure gauges feature an accuracy of 1% of full scale. These two inch gauges are durable measuring devices that come in a variety of process connections, pressure ranges, and socket orientations, offering a reliable and efficient way to monitor pressure locally. Get precise, high-performance results from the world's leading pressure gauge supplier.